Watch Teenage Mutant Ninja Turtles 2 Movie Trailer Video Released : Teenage Mutant Ninja Turtles 2 is latest new upcoming Hollywood movie releasing next year i.e in 2016. 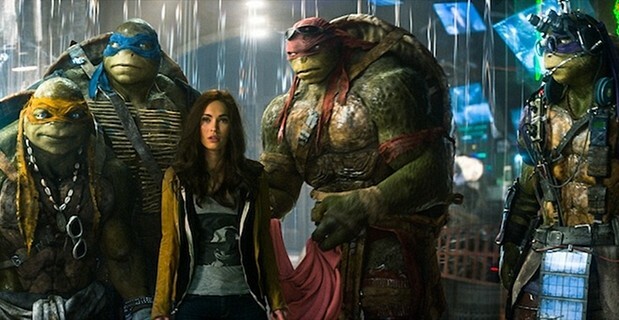 The trailer of Teenage Mutant Ninja Turtles 2 movie had been released and getting very good response from the audience. Also this is trending on social media sites like Twitter, Facebook etc, which shows the courage of this movie among the public. Teenage Mutant Ninja Turtles 2 is an American 3D science fiction action comedy film, directed by Dave Green, based on the Teenage Mutant Ninja Turtles characters. It is intended to be the sequel to 2014’s Teenage Mutant Ninja Turtles and will be written by Josh Appelbaum and André Nemec. The main leading star casts are Megan Fox, Stephen Amell, Will Arnett, William Fichtner, Brian Tee, Tyler Perry, Brittany Ishibashi and Laura Linney. The film is scheduled to be released in theaters on June 3, 2016 in 3D and IMAX 3D. Now below watch Teenage Mutant Ninja Turtles 2 Movie Trailer.